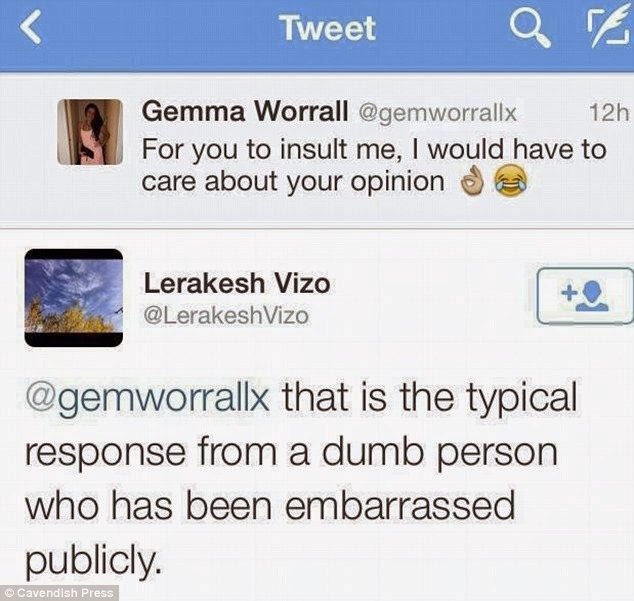 When 20 year old British beautician Gemma Worrall (pictured above) realised relations between Russia and Ukraine were at crisis point, she decided to share her feelings on Twitter and without pausing to check her facts, or her spelling, Gemma wrote: ‘If barraco barner is our president, why is he getting involved with Russia, scary.’ Lol. 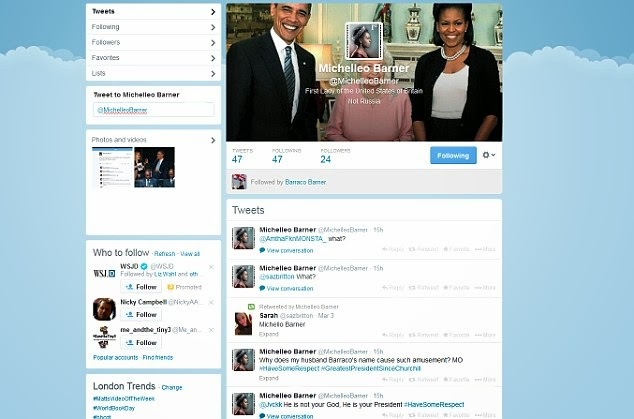 Within hours, Gemma was trending in countries around the world as her message was retweeted over 6,000 times. 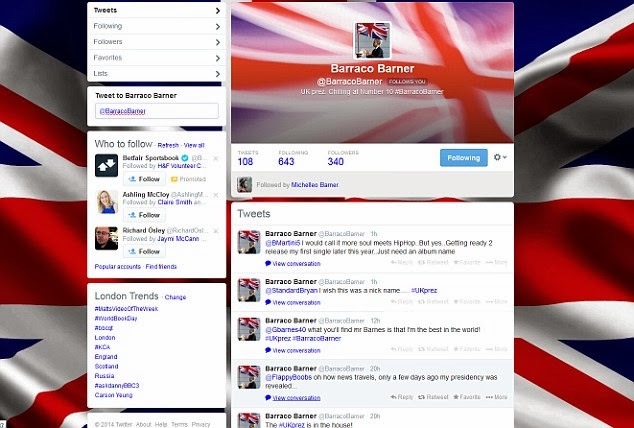 The hashtag #barracobarner was trending around the world, and new spoof accounts @BarracoBarner (UK prez, chilling at Number 10) and Michelleo Barner (First Lady of the United States of Britain) were set up. Meanwhile the beautician, who works in a salon in Blackpool, was being invited onto TV and radio chat shows and having to fend off unkind comments calling her ‘stupid’, ‘spaz’ and ‘dumb’ on the social media site that made her name. The youngster tried to correct the situation, writing a tweet saying : ‘Right, I get it, I’m no good with politics I’ll just shh now’. Today she described the reaction to her tweet as ‘unbelievable’, and said she had received bullying threats from around the world.